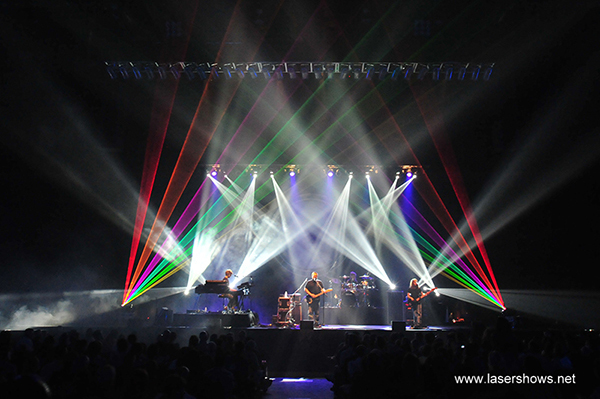 The Machine, America’s top Pink Floyd cover show, utilizes Lightwave lasers during their Hard Rock Live performance at the Seminole Hard Rock Casino in Hollywood, Florida. 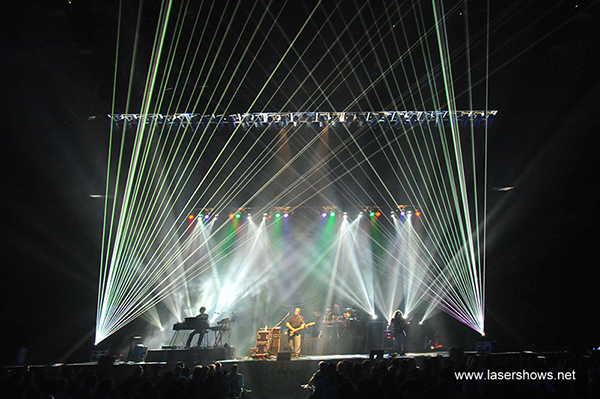 The Machine, America’s top Pink Floyd cover show, utilized Lightwave lasers during their June 24th, 2009 performance at Hard Rock Live at the Seminole Hard Rock Casino in Hollywood, Florida. 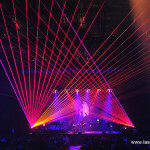 To accompany their strikingly authentic Pink Floyd sound, The Machine could not make a better visual choice than hiring the laser company responsible for innovation on Roger Waters’ World Tour for two consecutive years. 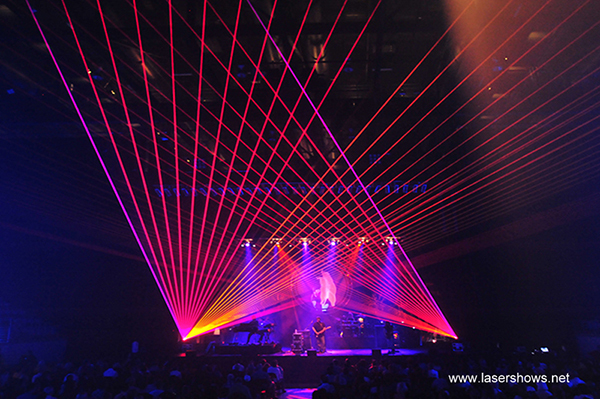 Having provided laser lighting and effects for the Dark Side of the Moon Tour, as well as having worked previously with The Machine at venues around the country, Lightwave artists were very familiar with the music and visual demands of this event. 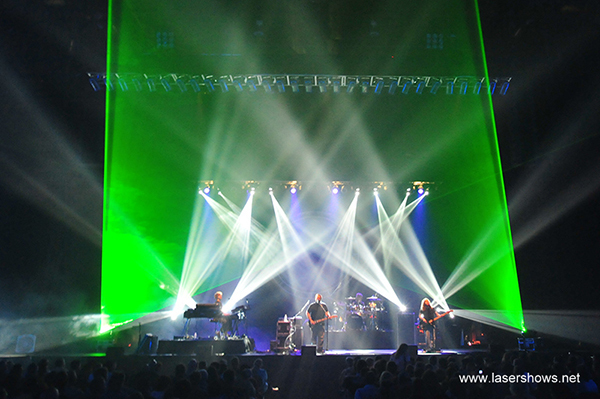 Venue aesthetics are an important element in a Pink Floyd show, and the audience expects a particular atmosphere to bring the experience to life. The Hard Rock Live auditorium features flat floor seating beginning only a few feet out from the stage, followed by steep vertical stadium seating on all three sides of the hall. The stadium seating areas are not only steep, but exist in multiple tiers. 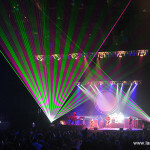 As a result, the lasers had to be controlled so the effects would be engaging to all attendees present while abiding by federal audience scanning regulations. 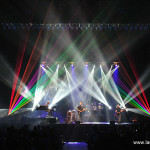 The people on the ground floor needed to experience as much visual impact from the lasers as those on the top side levels; something that is not a simple task, especially when only two 5W lasers are being used. With clever physical positioning and zone settings, the performance was successful. 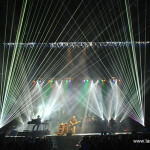 One laser was positioned on either side of the stage. 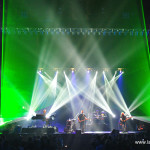 Several foggers were placed throughout the house, including one under the first set of bleacher seats that seeped through the floor and generated a nice ambience. 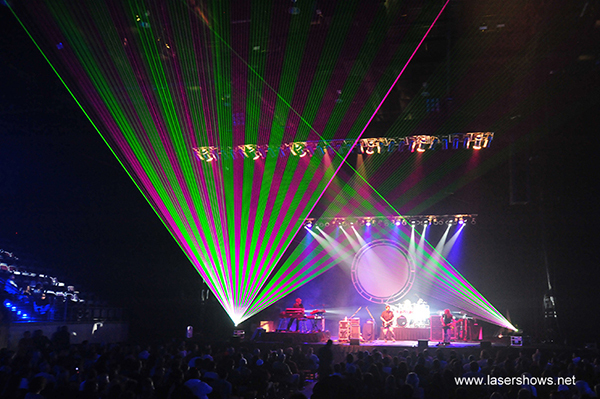 Lasers were controlled by a live operator who worked to match the looks of the main LD.